1st place winner of the Golden Quill Award for Fantasy and 1st place (Magical Realism) in the Ed/Pred reader's poll. Official Selection of New Apple and Reader's Favorite contests. 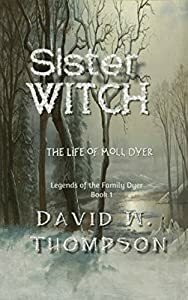 Moll Dyer wants to leave her troubles behind when she immigrates to the New World... but even an ocean cannot keep the Dyer family curse from following her! Wanting only to find peace, she fights injustice in a new land founded on tolerance, but ruled by bigotry. In 1697, the ancient enemy returns, and Moll takes a stand. 300 years later, is the world finally ready for Moll's story? It’s the middle of the twentieth century, World War II is finally over, and Claire Wagner is on the brink of an exciting new life. With a well-deserved scholarship in hand, and much to her immigrant mother’s dismay, Claire flees the Chicago tenements for a prestigious graduate school program in California. At first Claire keeps her nose tucked firmly into her books, but when her brother asks for a favor, she reluctantly agrees to a blind date. Greg turns out to be handsome, successful, and rich—and he’s definitely smitten with Claire. He introduces her to a sophisticated world she thought only existed in the movies, and before she knows it she’s trading her bobby socks and German home cooking for black silk and caviar. When Greg starts to show signs that he’s not as perfect as he appeared, Claire’s friends urge her to overlook his occasional short temper and controlling behavior. But the warning signs pile up, building to a crisis that will test even Claire’s power to persevere. 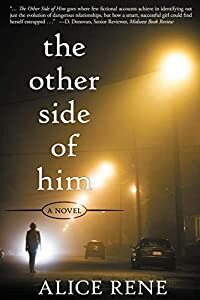 Inspired by true events and steeped in the details of the 1950s, when vulnerable women weren’t protected by the law or society, The Other Side of Him is a provocative look at how darkness can lie under the most polished exteriors. There is much more: a witch hunt, the sorry truth about daydreams, and some truly astonishing revelations, such as the historical facts behind the story of the Emperor's new clothes, and a perfectly reasonable explanation for the compulsion some young women have to kiss frogs. What happenings and environments wrought the most hated man in history? How does a child become a young man who evolved into a self-proclaimed messiah? Why did this one man become a psychotic who was responsible for the deaths of more than 50 million people? This book follows the first, formative years of Adolf Hitler's life. 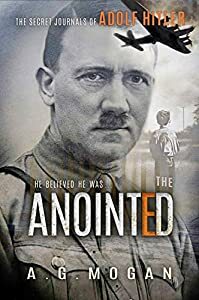 Presented as a personal journal, this is a fact-supported re-telling of a desperate existence, as viewed by Hitler, and tracks the points of pain that forged his beliefs. 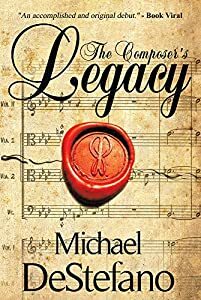 From a childhood of abuse and cheating death to an agonizing unrequited love to torturous years as a beggar in Vienna to finally finding his destiny. Enflamed by delusions, Hitler embraced the powers he believed guided his life. Adam de Guirande owes his lord, Roger Mortimer, much more than loyalty. 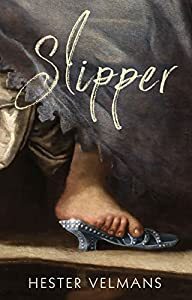 He owes Lord Roger for his life and all his worldly goods, he owes him for his beautiful wife – even if Kit is not quite the woman Lord Roger thinks she is. 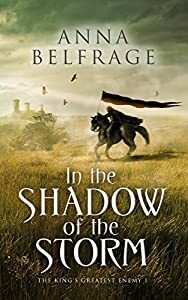 So when Lord Roger rises in rebellion against the king, Adam has no choice but to ride with him – no matter what the ultimate cost may be. Adam fears his lord has over-reached, but Adam has other matters to concern him, first and foremost his new wife, Katherine de Monmouth. His bride comes surrounded by rumours concerning her and Lord Roger, and he hates it when his brother snickers and whispers of used goods. 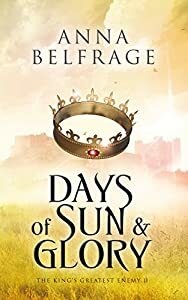 Kit has the misfortune of being a perfect double of Katherine de Monmouth – which is why she finds herself coerced into wedding a man under a false name. Furious and out for blood when she finds herself kidnapped of the streets of Stirling, Fern promises herself whoever was behind this fiendish act would pay with their life. When the filthy, stinking heathen who had stolen her informs her that she’s his contracted bride, she refuses to believe him. Beside she’s about to marry someone else, moreover she would have nothing to do with a man who would dishonour her by keeping his fat doxy in residence. There was nothing else for her to do but escape. Managing to outwit the reeking lunatic, she remains hidden for several days. Hunger and thirst drive her from her hiding place and she is outraged to find herself captured once more. The final blow to her freedom is the contract he thrusts in her face, declaring everything he said was true. Defeated but still proud she agrees to the marriage but rejects sharing a bed with him, and to keep him out of hers she refused to bath or keep clean. It was time to fetch his bride, and Cameron sent men to procure her. Once he set eyes on her and was drawn to her sweet clean scent, he knew he had to have her. Her beauty was another reason he was determined to wed her. Though he hadn’t bedded his mistress for some time, he realized he had made a tactical error in letting her stay. The insults from his bride at times insulted him and amused him. He was frantic when she somehow manages to escape her locked room. Continuously, he searches for her without any success. It was impossible for her to slip away so it only meant she was hiding somewhere close. He is determined to find her and once he does they will be married at once. As the days pass, he grows more alarmed for her safety but finally just as he is growing desperate, she reappears. Once she sees proof he was telling the truth she reluctantly agrees to marry him but he is mistaken that she has given up fighting him and stirring up trouble. 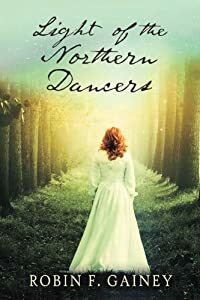 Rising from the shame of an abusive childhood, Victoria Woodhull, the daughter of a con-man and a religious zealot, vows to follow her destiny, one the spirits say will lead her out of poverty to "become ruler of her people." Over the next several years, she sets into motion plans that shatter the old boys club of Wall Street and defile even the sanctity of the halls of Congress. 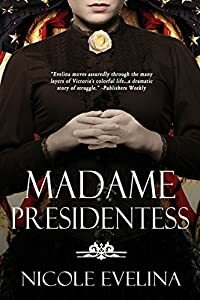 But it's not just her ambition that threatens men of wealth and privilege; when she announces her candidacy for President in the 1872 election, they realize she may well usurp the power they've so long fought to protect. Those who support her laud "Notorious Victoria" as a gifted spiritualist medium and healer, a talented financial mind, a fresh voice in the suffrage movement, and the radical idealist needed to move the nation forward. But those who dislike her see a dangerous force who is too willing to speak out when women aree xpected to be quiet. Ultimately, "Mrs. Satan's" radical views on women's rights, equality of the sexes, free love and the role of politics in private affairs collide with her tumultuous personal life to endanger all she has built and change how she is viewed by future generations. This is the story of one woman who was ahead of hertime - a woman who would make waves even in the 21st century - but whodared to speak out and challenge the conventions of post-Civil WarAmerica, setting a precedent that is still followed by femalepoliticians today.